THE unwritten code for survival in politics used to contain three ‘don’ts’: don’t get caught with your pecker out or knickers down, don’t get your sticky fingers stuck in the till and don’t mention religion. Contemporary history – and a probing, 24-hour media – has rendered the first two redundant and British MPs know that even if the Press doesn’t get them, their pals will. For instance, who’d have imagined a grey (in suit and soul) Prime Minister like John Major indulged in a little, light nookie on the side, until his Cabinet colleague, Edwin Currie, revealed he was a closet lothario in Conservative blue Y-fronts. And hardly a member escaped dishonour when the Daily Telegraph named and shamed MPs for their grasping shenanigans in the 2009 parliamentary expenses scandal, still rumbling on, since they continue policing themselves. Religion, though, largely remained taboo. Not merely because, for years, the Church of England was regarded as the Conservative Party at prayer and an utterance of blasphemy could see an archbishop rush round from House of Lords and knock seven bells out of whoever said it with his crozier. Writing in The Church Times, the Tory leader said he’d no wish to ‘do down’ other faiths or none at all, but criticised those who demand a strict ‘neutrality’ where belief is concerned, saying it deprived Britain of a vital source of morality. Within hours lightning bolts of hellfire were cascading down on him in an open letter from a group of writers, scientists, philosophers, political thinkers and theatrical types – a coalition of willing great minds, you might be moved to say – few of whom you’ve ever heard of. They wrote: ‘We respect the Prime Minister’s right to his religious beliefs and the fact that they affect his own life as a politician. ‘However, we wish to object to his repeated mischaracterising of our country as a ‘Christian country’ and the negative consequences for our politics and society that this view engenders. ‘At a social level, Britain has been shaped for the better by many pre-Christian, non-Christian, and post-Christian forces. We are a plural society with citizens with a range of perspectives, and we are a largely non-religious society,’ the round robin added. 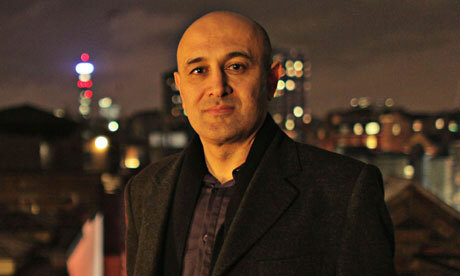 The lead signatory, Jim Al-Khalili, an Iraqi-born physicist and president of the British Humanist Association, said Cameron’s intervention was part of a ‘disturbing trend’. Disturbing trend, Jimbo? Whatever ‘trend’ you perceive seems to run exactly counter to any religious renaissance I see, as the stats demonstrate. In the 2011 census, 25.1% of the population of England and Wales declared ‘no religion at all’ against 14.81% who said as much in 2001. And the sceptical Scots were even less inclined to cry ‘Hallelujah’, the 27.55% declaring they had no faith in 2001 soaring to 36.7% within a decade. Indeed, apart from Islam – and the attendant problems fanatics in its midst have sought to wreak on Britain – all recognised religions, including Jedi-ism, are on the back foot. Because long ago many folk stopped buying into the proposition ‘the first shall be last and the last shall be first’ if they waited long enough to enter the Kingdom of Heaven. Consumerism and credit cards did for that. I won’t dispute Jimbo and his talking heads are correct in pointing out there is a ‘narrow constitutional sense’ in which the UK is Christian – Anglicanism is, after all, the official faith of the land, thanks to Henry VIII’s libido and the Queen being head honcho…unless Lib-Dem leader and Deputy PM Nick Clegg gets his way and sacks her. Nor will I argue Britain hasn’t benefitted immeasurably from the genius of people of other credos or none at all. I’ll even add that I disagree intensely with some faith schools insisting on teaching only blinkered creationism. But, as a non-Christian son of the Sceptred Isle, I had the great good fortune to grow up in a climate of mainly tolerance and understanding, partly due to the CofE being as benign as it is. So, compared to elsewhere, where hard-line belief in a supreme deity is by autocratic decree, thank heavens for a largely compassionate, liberal ideal of Christianity prevailing in my homeland. Plus, although religion over the centuries has much to answer for – and in some places still does – it has been the anti-faith doctrines of the 20th Century that caused the most mayhem, conflict and slaughter. Of course, I don’t subscribe to religion – any religion – being rammed down people’s throats. 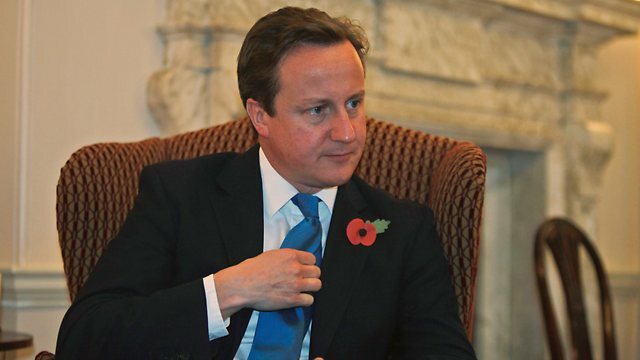 But if David Cameron wants to air his views on his faith, as an individual and not for political capital, I think he has every right to so, just as Jimbo’s disbelievers are entitled to air a contrary option. And, at risk of being branded a bigot – and I’d swear on a stack of bibles, Korans or Torahs I’m not – it mightn’t be such a bad idea if the humanists were a tad more humane and didn’t take umbrage at someone having the temerity to ignore their PC pomposity. The laws of Britain – and, for that matter, most Western democracies, including egalitarian, irreligious France – are founded on Judeo-Christian morality, even if not all Ten Commandments are enshrined in judicial frameworks. Hence, we know it’s illegal to kill, thieve and tell porkies in court, even if – lucky for John Major and an untold horde of us – adultery isn’t a capital offence, as isn’t covetousness, not remembering the Sabbath Day, being caught with graven images or taking the Lord’s name in vain. All the same, they are moral pillars of our civilisation. And if someone like Cameron needs a personal reminder of them, via his faith – especially the lighter-touch CofE – where’s the harm?